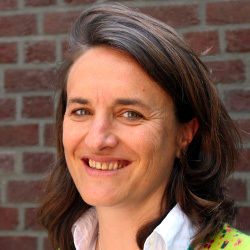 Kathleen Van Hove, a Belgian national, is a Senior Policy Officer in the Economic and Agricultural Transformation programme at ECDPM. She started in May 1997 as Junior Programme Officer at ECDPM. Her main areas of expertise are ACP-EU cooperation, trade and development, and regional integration. Prior to joining ECDPM, she was Programme Officer at the Centre for Economic Policy Research (CEPR) in London. Ms. Van Hove holds a Master of Science degree in Foreign Service, from Georgetown University.